As a The Mars Generation℠ (TMG) Student Space Ambassador (SSA), the most important thing to remember is that you are representing something much larger than yourself. Being a TMG SSA means that you are a leader in your community and also in our organization. You may be a student and just one person, but your work and behavior has the potential to impact dozens, hundreds, and maybe even thousands of lives. Language. Please do not swear, curse, or use inappropriate language online or in public while serving as a representative. Anywhere that you have chosen to use the title Mars Generation Student Ambassador, you should be thinking about professional language and behavior. If you have specific social media channels that identify career goals such as an account name “AstroAmy” or “EngineerEric” or an account that uses your real name, such as Sara_Stanley, that account should always be professional and operated through the lens, “Would I be ok with a NASA astronaut reading my posts?” If you’re in college, or going to be entering college soon, you should also ensure that your posts are professional as people who are looking to hire you, or people who are making an admissions decision about you may read your posts on social media outlets. Dress. If you are speaking and not wearing a flight suit, then you should wear a polo or space themed t-shirt, nice slacks and sturdy shoes. In some business settings, you should wear a collared shirt and nice slacks or a skirt. Commercialization. As TMG Ambassador, you are working as an unpaid volunteer. Your focus is to provide outreach service to the your community (community can mean school, church, teams, etc.). You may not use your status as a SSA to raise funds for any cause that is not sanctioned by The Mars Generation. 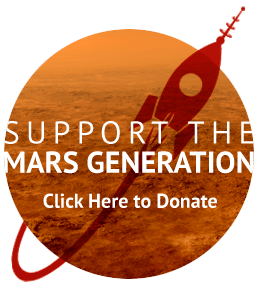 Fundraising for The Mars Generation sanctioned campaigns is permitted, this includes online events such as our Train Like A Martian Challenge and other initiatives. You are not permitted to crowd fund, sell items or ideas that are in anyway connect to The Mars Generation™ for your own profit or for a cause not sanctioned by The Mars Generation. Using The Mars Generation™ logo or brand for any nonprofit, business or personal financial benefit is strictly prohibited. Please contact us if you plan to crowd fund or fundraise for any cause. Courtesy. Science Technology Engineering Arts Math (STEAM) and space exploration draw many opinions and thoughts from others. Do not attack another person or their thinking, and do not speak poorly of the space industry or individual companies. You want to build bridges for not only The Mars Generation, but also for yourself. Have and show respect for those who are engaged in discourse about STEAM and space, even if you disagree with them. Most people want the same outcome in the end-to advance the human race. Passion. If you want to advocate for Science Technology Engineering Arts and Mathematics (STEAM) education and/or space exploration, one of the best ways you can do so is by showing how much you love what you’re doing as a TMG Student Ambassador. Show passion and respect for what you do, in everything you do. The condensed version of our preferred messaging is below. 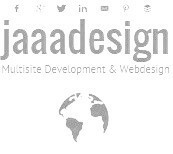 For the detailed version with more examples, click here. Acronyms. The Mars Generation (TMG) should always be spelled out completely in writing with acronym in parenthesis before shortening to TMG. Similarly, you are a The Mars Generation Student Space Ambassador (TMGSSA) – always state it “The Mars Generation Student Space Ambassador” before shortening it to TMGSSA or SSA so people know what the acronym stands for. NASA. 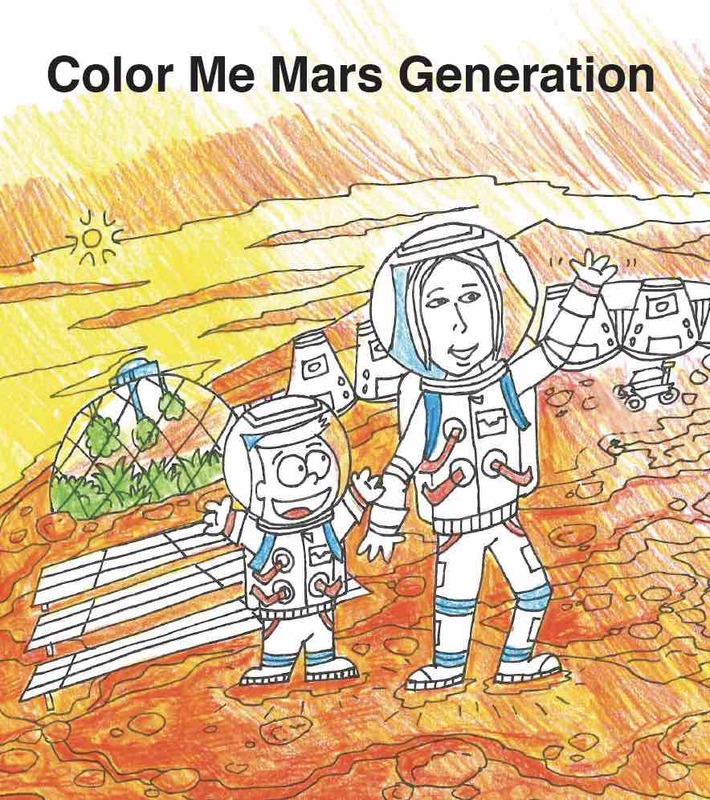 The Mars Generation is not affiliated with, nor endorsed by NASA. We are advocates for NASA’s journey to Mars and support NASA’s work. You are not a NASA Ambassador, you are a Mars Generation Space Ambassador that advocates for NASA. 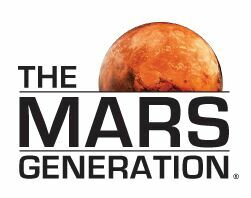 The mission of The Mars Generation (TMG) is to excite young people and adults about space and STEM education and foster an understanding of the importance of these two elements to the future of humankind on Earth. 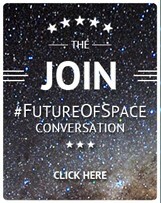 TMG is a 501c3 nonprofit dedicated to advocating for space exploration, dreaming big and building a collaborative network of fellow space and STEM advocates. Mars Generation Student Space Ambassadors are advocates. 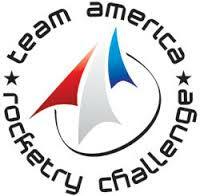 They are passionate about the future of human space exploration and STEAM education for young people. Ambassadors dedicate time to educating others about space and getting people excited to be a part of this generation that will change the world. Social Media. If you choose to use social media to help spread The Mars Generation message, please keep your private life and official advocacy in separate spaces or even social media accounts. Please be safe and do not give out personal information to anyone at anytime. We advise that you partner with your parent or guardian and ask them to keep an eye on your social media with you. Honesty. If you don’t know the answer to a question, say so. Do not claim to know something you do not know, or claim to be someone you are not. I’m an aspiring astronaut! I’m an astronaut in training! I hope to be a member of the NASA astronaut corps; I’m aspiring to be a future member of the NASA astronaut corps. I’m a future member of the NASA astronaut corps. 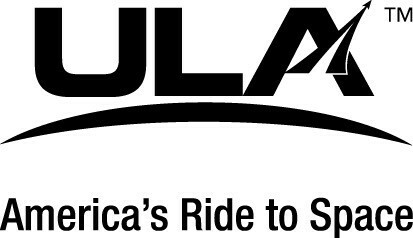 Any space exploration company or advocacy group is doing important work. I dislike ________ space company because I want to work/am loyal to _______ space company. I dream of being the first astronaut to Mars. I will be the first astronaut to Mars. NASA does great work and inspires me to advocate for space exploration. NASA does great work and inspires me to advocate for space exploration. For more information on our preferred ways to communicate through this Ambassador work, click here.